The serial shooter who put the city of Phoenix on edge for nearly two years was sentenced to death Friday for six murders. Dale Hausner was convicted earlier this month of killing six people and attacking 19 others in random nighttime shootings in 2005 and 2006. As the jury's decisions were announced, Hausner was expressionless, keeping his head down as he flipped through papers in front of him. Before being led out of the courtroom, Hausner thanked the judge who presided over his trial. Hausner's mother was whisked out of the courtroom through a back door by one of his lawyers. One of the attorneys, Tim Agan, wouldn't comment on the six death sentences. Hausner, 36, apologized to the families of the victims on Thursday and said he would take his punishment "like a man" if it helps them heal. He declined the opportunity to call his own witnesses and instructed his attorneys not to ask jurors for leniency on his behalf. He is scheduled to be sentenced Monday on 74 other convictions. Prosecutors said Hausner preyed on pedestrians, bicyclists, dogs and horses during a 14-month conspiracy that occasionally included his brother and his former roommate, Sam Dieteman. The Serial Shooter attacks and an unrelated serial killer case kept police and neighborhood watch groups on high alert in the summer of 2006. Families stayed inside as police searched for the killers. Authorities called meetings that drew hundreds of people. Police said their big break came when one of Dieteman's drinking buddies, Ron Horton, called them to say Dieteman had bragged about shooting people. "They called it 'RV'ing.' Random Recreational Violence," Horton told The Associated Press in a 2006 interview. Horton died last year. 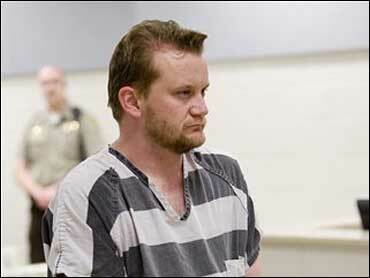 Dieteman pleaded guilty to two of the killings and is awaiting sentencing. He testified against Hausner, saying he and his roommate cruised around late at night looking for strangers to shoot. He could also face the death penalty.